​Quiet, one on one, house call pet grooming. ​Four Paw's brings you a new service... "Ellie's Way" - In Home Grooming. My idea for in home grooming came from a long term client of mine, Ellie. Ellie is a spoodle who'd been coming to me for a number of years, until a few times in a row she had begun to have a seizure while walking into my salon. No harm had ever come to Ellie while at my salon, but something had made her so stressed that even walking up to my front door triggered something the vets confirmed to be a seizure. ​With my background in dog training and behaviour, I know very well that something did trigger Ellie to fit each time, but it could very well have been something minor like un-ease about a dog she encountered there once, or the busy environment, or perhaps she just didn't like her owners leaving. Whatever the case, Ellie's owners asked if I would consider grooming Ellie at her own home, which I have been doing now since about 2013. ​She has never had a seizure since, she gets very excited to see me every 6 weeks and I even get Ellie cuddles every time her grooming is done. Ellie is evidence that different dogs are suited to different environments and it's not always about how you feel they are treated when left in a salon. I'm always on a mission to improve our fur babies happiness & well-being, so I have decided to officially offer in home grooming as a service of Four Paw. Teagin Lanca, owner of Four Paw will be bringing her grooming expertise to your own home. Quality, professional grooming in a comfortable, familiar environment for your pet. This service is ideal for pets who don't cope in a busy salon environment, elderly pets, or elderly or disabled people. Or those pets who you want to just spoil! Currently I'm only available for this service on Tuesdays, with the possibility of other days, depending on my schedule in the salon. ​Call to make an appointment 0402 856 004. To allow me access to your home if you aren't there. 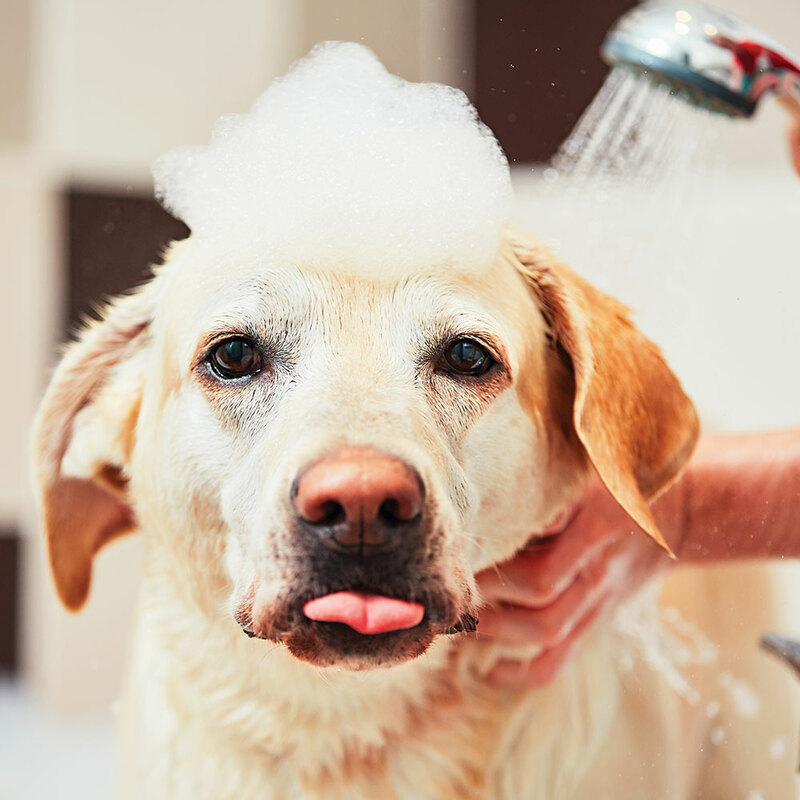 A bath, laundry tub or sink with warm water for me to bath your pet. (I will bring a hose attachment). ​I will provide everything else & clean up after! Prices are our salon prices, but "Ellie's Way" In Home Grooming incurs a 50% surcharge.